As of 2017[update], eight Nobel laureates, 71 Rhodes scholars, 65 Olympians, eight Fellows in both American Academy of Arts & Sciences and the Royal Society, and 208 Fellows to the Royal Society of Canada have been affiliated with UBC. Three Canadian prime ministers, including Canada's first female prime minister Kim Campbell and current prime minister Justin Trudeau have been educated at UBC. 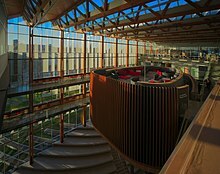 The UBC Okanagan campus is rapidly expanding in the past decades both in student body and in research intensity and capability, and is one of the fastest growing campus among Canadian universities. To implement change in the water consumption, UBC sustainability team created an initiative to conserve called the Water Action Plan in 2011 in hopes to reduce and recycle water on campus. 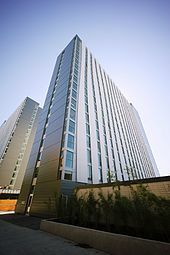 Two landmarks for creating water sustainability are the CIRS and the C. K. Choi Building. The Centre for Interactive Sustainability (CIRS) building features a closed loop water system where water is recycled and reused. On the other hand, the C. K. Choi Building for the Institute of Asian Research, consists of composting toilets, which reduce domestic water consumption. These toilets use an alternative other than using water for flushing and produce fertilizer that can be used for growing plants. Conclusively, these toilets allow for conservation of water, landfill space, energy, and also production of quality fertilizer. In the academic year 2011/2012 most research-based graduate programs assess tuition of $4,263.87 per semester for Canadian students and permanent residents or $7,490.88 for international students. International students without external funding that meet the general eligibility criteria will be supported with guaranteed funding of up to $3,200 per year. Tuition for professional Master's programs varies. Moreover, UBC was ranked among Canada's top party schools by the website Ask Men. 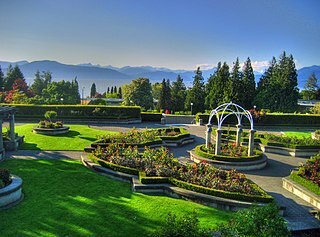 In the latest ranking, UBC was ranked 7th, ahead of Queen's University and below Concordia University. ^ "UBC Coat of Arms Usage Policy and Guidelines" (PDF). UBC Communications and Marketing. December 2015. Retrieved April 14, 2018. 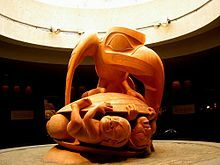 ^ a b c d e "The Canadian Encyclopedia". Thecanadianencyclopedia.com. Retrieved October 6, 2008. ^ "UBC Okanagan campus website". ^ "UBC Vantage College website". ^ "The Effects of Bottled Water on Environment". ^ "International tuition increases of 46.8% over the next three years announced". 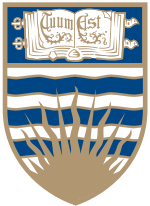 ^ The University of British Columbia. UBC Bookstore: About Us Archived April 28, 2016, at the Wayback Machine. Retrieved on: December 9, 2011. ^ "Top 10". AskMen. Retrieved 2015-02-28.